I think it's fading, I should really compare with pictures, however my left-handed photography means that no two images are quite the same. I'm kind of disappointed with how it's fading, not because it isn't. Rather, it seems to be quite even. I'm not noticing anything vanishing, I just think the whole thing has gotten a shade lighter. Looking at that on my computer screen, I think I can see some parts which have thinned, under the face and around the legs in particular. My nemesis is still the chest. If that would lose the darkness, it would look much more noticeably faded. I know it will get there, it's just so much slower than I had expected. I've done some reading and am now thinking I was mistaken. 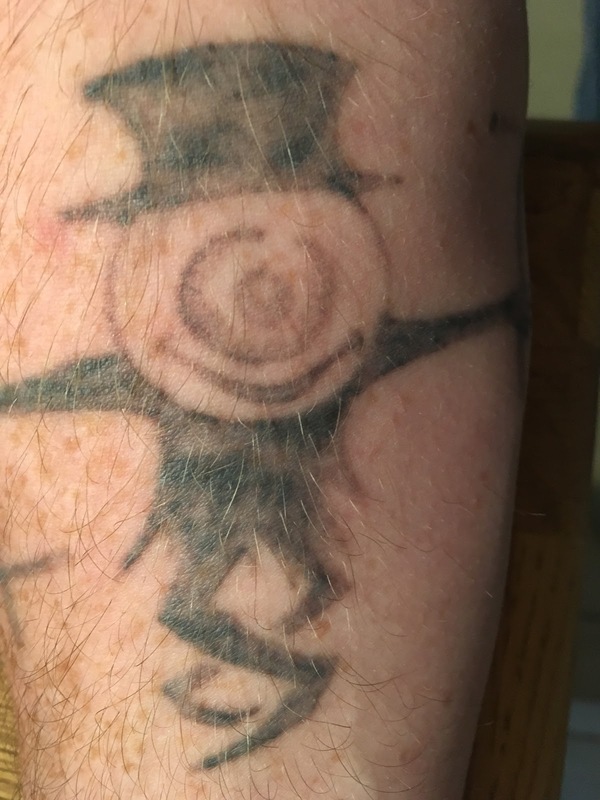 I believe the laser in the tattoo shop would have eventually removed my tattoo. It wasn't a passive q-switched, it was Nd:yag. These will work on dark inks, like blue and black. However I still think I made the right choice going for picosure. This is only two weeks and I'm seeing a difference, the lack of pain, swelling and bruising alone makes it worth it. I'm taking a week of holidays next week so no blogging. I'll be interested to see how it looks in two weeks (you won't recognise he-eer), I won't notice as I see it everyday, but the photos should help.